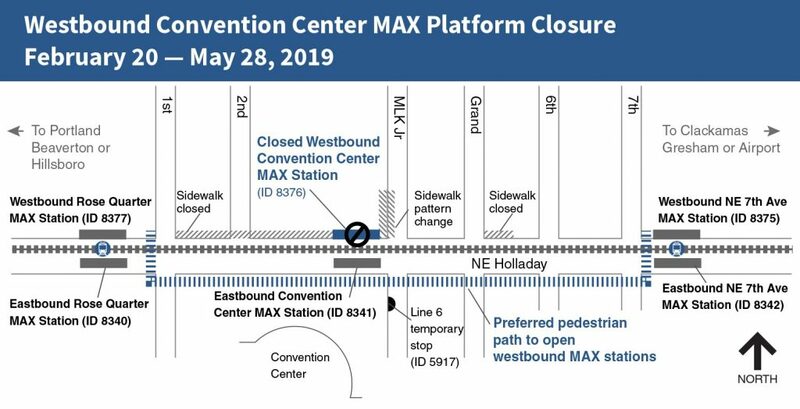 TriMet’s Convention Center MAX Station westbound platform will temporarily close beginning Wednesday, Feb. 20, for about three months. The closure is due to the ongoing construction of the Hyatt Regency Portland at the Convention Center. 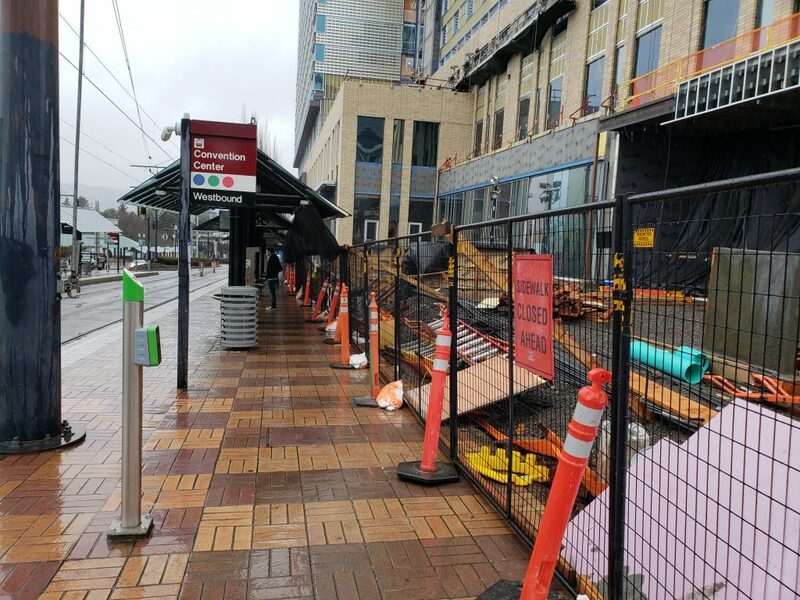 While the construction is blocking access to the platform, crews will make improvements to the adjacent sidewalks as well as the curb cutouts at crosswalks. This will allow better access to the platform. During the closure, trains will still stop at the westbound platform to maintain schedules, but the doors won’t open. 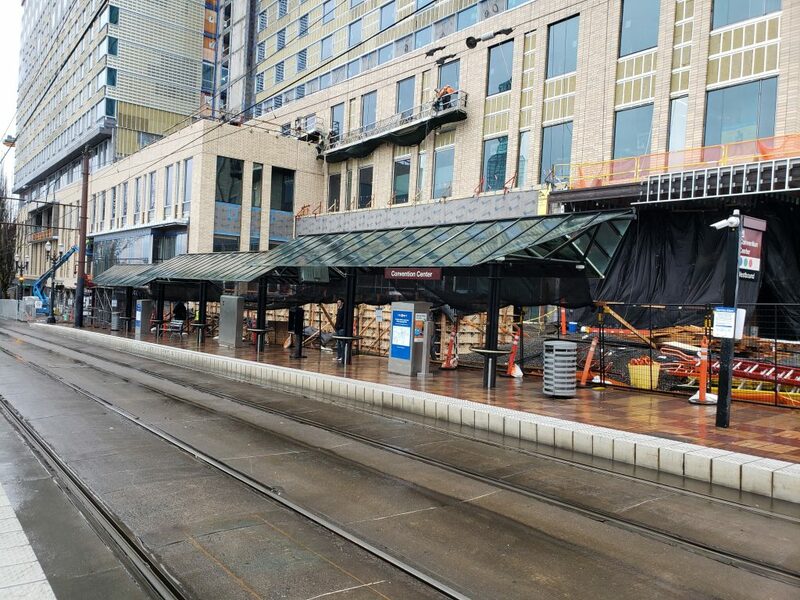 Riders traveling westbound on MAX Blue, Green and Red lines, should use nearby westbound platforms at the Rose Quarter Transit Center or the NE 7th Ave MAX Station. Both are just a few blocks away and within a two-minute walk from the Convention Center Station. We appreciate our riders’ patience while the platform is closed for safety during the construction. TriMet wants riders to enjoy a safe and user-friendly experience each time they ride. They can plan trips in advance using our online Trip Planner. They also can reach our Rider Support team 24 hours a day, seven days a week by texting 503-238-7433, or by tweeting to @trimethelp. Our Rider Support team is also available by phone daily from 7:30 a.m. to 5:30 p.m. at 503-238-RIDE (7433).